If you're in the mood for a new slice of JRPG action, you might just be in luck, as Asdivine Hearts II has just plonked itself onto the Switch eShop. Yep, it's available today. 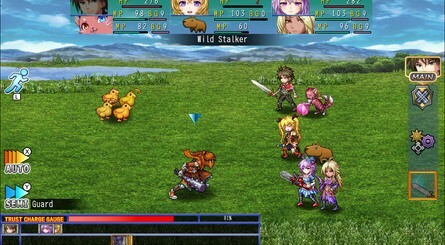 The game picks up two years after the events of the original game, Asdivine Hearts, with Zack and friends finding themselves heading off on another quest. This time, the gang hope to save the parallel world of Archelio, which is on the verge of being frozen in ice. In a nice touch, the game features a summary of the previous game so that you can jump right into the sequel if you prefer. Speaking of the previous game, it's worth noting that we had mixed feelings after our playthrough for review. We said that Asdivine Hearts is "entirely competent but difficult to fully recommend; it ticks many boxes from its retro inspirations, and players looking for pure comfort gaming will find elements to enjoy, but as an experience it’s ultimately underwhelming". Naturally, we're hoping that this sequel might give us just a little bit more. 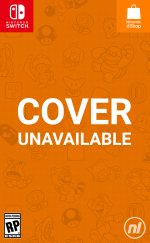 Asdivine Hearts II has you leading up to six characters into battle, destroying onslaughts of powerful foes along the way, and also gives you the ability to upgrade rare weapons and learn new skills. As noted above, it launches today and can be purchased for £11.69 / $12.99. Did you play the original? Are you a fan of JRPGs? Share your thoughts on this one with us in the comments. You forgot to mention that the publisher is KEMCO, to help readers set their expectations appropriately. 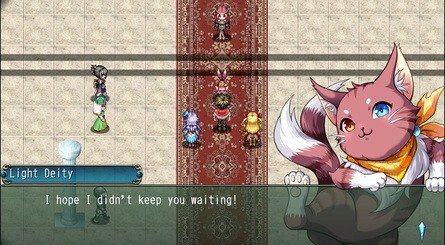 @riChchestM You only need to look at one screenshot to know when it's a KEMCO game anyway, haha. Steer clear, everyone. 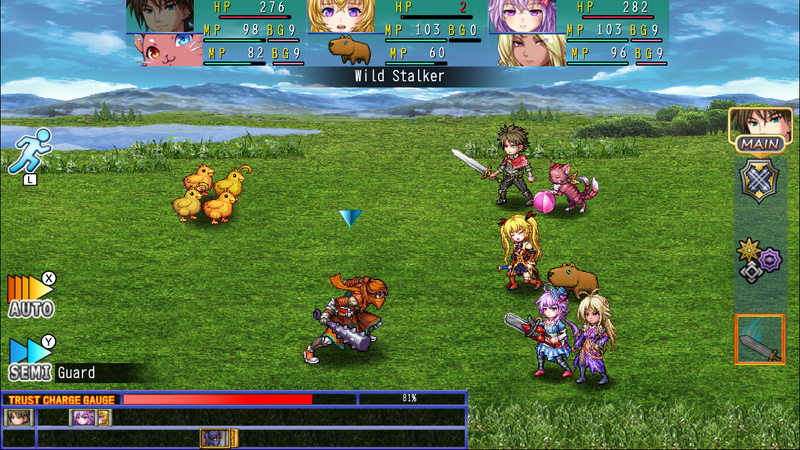 Another day, another Kemco RPG. I wonder what kind of system they have in place that they can churn out these so fast. Or they can be generic low quality junk like this looks like it is. Appearances can be deceiving, but I have only ever heard bad things about Kemco. I played one of Kemco's RPGs to completion in around 20 hrs (Revenant Saga) and I guess it was an okay timesink for on the go, but strongly feel like each one of them is more of the same with every aspect underwhelming. If I'd feel the need to scratch that classic RPG itch for around 10-15 bucks I'd probaby pick up either Earthlock or Cosmic Star Heroine. 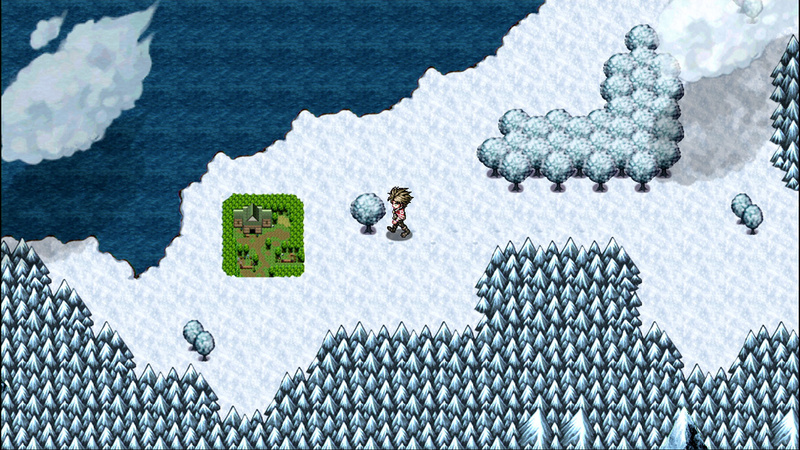 @Expa0 Looks like RPG maker. This looks very generic. What's the appeal in an artstyle that's done sóóó many times in much better games? 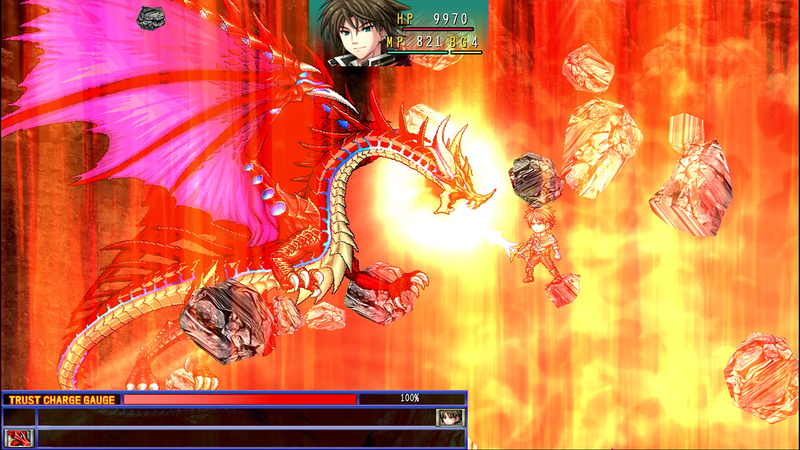 I'm kinda tired of seeing everyone bashing on Kemco JRPG without even giving them a try. A lot of them are fun titles, with lot of QoL options I wish others JRPG had, and most of them have a lot post-game contents, and fun system. The first Asdvine Hearts in particular had a way to boost your characters where you use blocs inside a grid, like in Mega Man Battle Network. It was really fun. So I was waiting for this second title. For the few who are interrested, I created a topic on Gamefaqs (sorry for the outside link, but couldnt copy and paste everything here) listing all the Kemco JRPG releases so far, in order from worst to best. Maybe it could help some giving a Kemco game a chance. Oh, it's another JRPG off Kemco's assembly line. Looks like something a person would make in RPG Maker. @Drac_Mazoku They deserve all the bashing they get. Not only are their games really generic but some of them are ported straight from mobile with all the pay-to-win microtransations left in-tact despite costing a decent amount of money on the Switch. It's a pretty disgraceful practice so they're on my avoid list. @BenAV Except none of them need any of those DLC, they are pointless. The base game already have enough options to make the game as easy as you want (difficulty slider you can change everytime), with a lot of quick grinding options, and even the possibility to remove battles if you're strong enough (like in Earthbound). Holding that against them is really stupid, or a proof you didnt played any of them. I would suggest to NEVER buy any of the DLC, since you'll bit your fingers when you realize that there's already tons of options in-game to breeze through them. @Drac_Mazoku It's not about whether you need them or not that's the problem. I take issue with that sort of crap existing altogether. If they're pointless like you say, then they should have removed them from the paid version of the game like any respectable company would do. @BenAV Yes they should, as they're not needed like I said. But who knows, maybe some people want to get EVEN more XP quicker. Go from sometimes 300-400% boost in-game, and add another 200% from the DLC??? I don't know, nor do I care since I don't buy them anyway, just enjoying the base game. I'm easily reaching LV999 without too much farming in all Exe-Create titles without any of the DLC. People should at least give Marenian Tavern Story a try. If you liked Adventure Bar Story on 3DS, this is a direct sequel, and really feels like a great indie Atelier game. Please dont promote sub par games. Not even worth playing on my phone for Free. If there's are a review and it's not bad might be worth a try. I do like the look at least. Thank a lot @riChchestM there's nothing more fun than getting really excited about a game then reading the very first post just to have your excitement crushed. Retro-themed RPGs will always have a place in players' hearts, but there must be great content to justify the art style, and it doesn't look like the content is up to any acceptable standard here. It's a shame, as much grander RPG experiences could be achieved using the technology of modern consoles today. Games such as Octopath Traveler are a great example of what can be achieved when you have a team with resources who go out of their way to put in the required effort to produce a memorable RPG. Classic RPG elements and story mixed with Pokemon-like creature collecting, Breath Of The Wild-esque puzzle solving using Rune-like powers to manipulate the world in the field and in battle, a beautiful soundtrack by the composer of Dark Souls. Golden Sun is a prime example of an RPG from a classic console that manages to provide a more unique experience than the majority of modern RPG titles do on consoles that are technologically light years ahead. With the furthering of console development and technology, the games should be becoming more ambitious, not less. Kemco games are like if someone rigged up a procedural generation algorithm into RPG Maker and asked it to spit out and publish a game every month please. And they don't just look like that from the outside. Call me shallow, but I can't even consider playing a fantasy RPG with a hero named Zack. I want a Conan, a Legolas, an Elric or a Cugel for my lead. Not Zack. Zack is not a dragonslayer's name, it's that annoying kid who sat behind you in fifth grade and always wanted to copy your homework.